I'm reluctantly selling a 3/4 set in C (chanter by Matt Kiernan, drones/regs by Nick Whitmer). I have a full set in D and a few other flat chanters and just don't get to play this lovely set as much as it deserves. Full details are on uilleannobsession. The Kiernan chanter has been sold separately. The Whitmer body (drones, regs and bag, together with Hamon bellows), is for sale. Price US$3,000 (plus shipping). 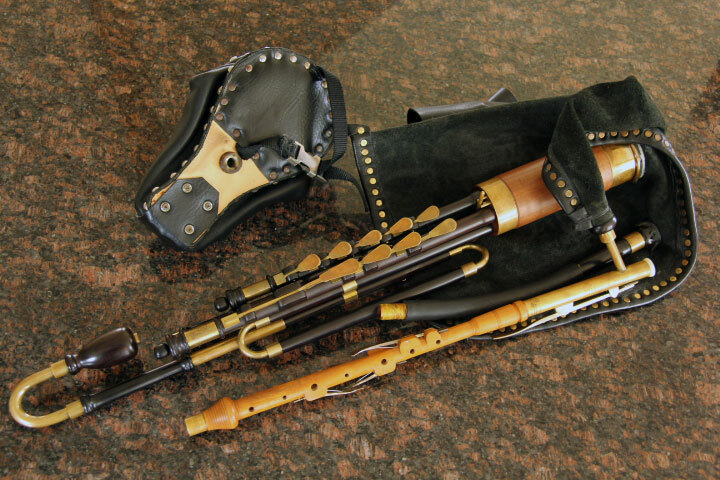 I'm attaching a short clip of the chanter, drones and regs. Oops. Looks like I had uploaded the wrong sound file (a 1/2 set in B). I've corrected the error and the soundfile is now of the C 3/4 set. I'd consider a part-trade for good quality drones and regs (or just drones) in B natural.